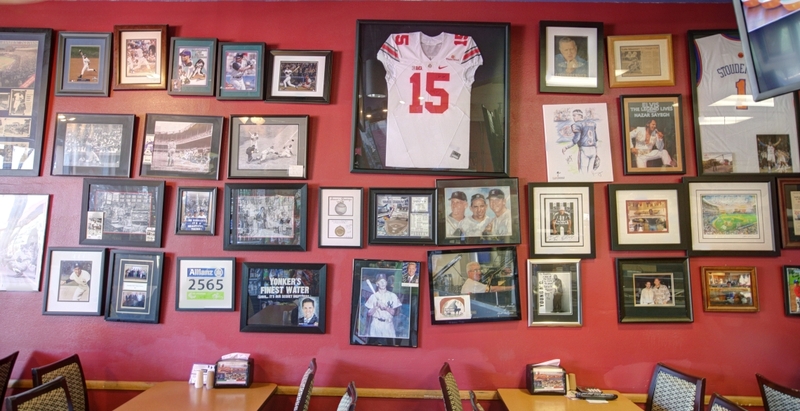 Rinaldi’s Italian Deli has two locations in Scottsdale and Phoenix. Owner John is known for his hospitality, friendly service and delicious cooking. 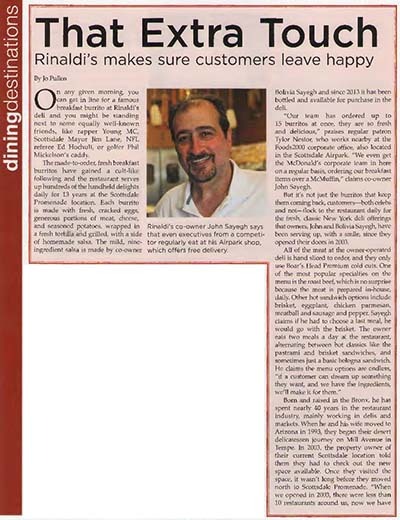 John Sayegh born and raised in the Bronx, he has spent nearly 40 years in the restaurant industry, mainly working in delis and markets. 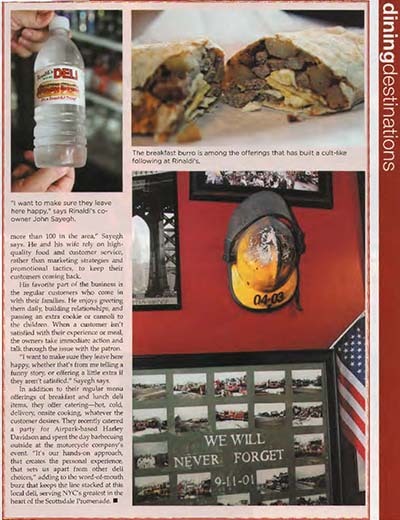 When he and his wife moved to Arizona in 1993, they began their desert delicatessen journey on Mill Avenue in Tempe. In 2003, the property owner of their current Scottsdale location told them they had to check out the new space available. Once they visited the space, it wasn’t long before they moved north to Scottsdale Promenade. “When we opened in 2003, there were less than 10 restaurants around us, now we have more than 100 in the area,” Sayegh says. He and his wife rely on highquality food and customer service, rather than marketing strategies and promotional tactics, to keep their customers coming back. His favorite part of the business is the regular customers who come in with their families. He enjoys greeting them daily, building relationships, and passing an extra cookie or cannoli to the children. When a customer isn’t satisfied with their experience or meal, the owners take immediate action and talk through the issue with the patron. The word-of-mouth buzz that keeps the line stacked at this local deli, serving NYC's greatest in the heart of the Scottsdale Promenade. In addition to Rinaldi’s Italian Deli regular menu offerings of breakfast and lunch deli items, Rinaldi’s Italian Deli also offer catering, hot, cold, delivery, on-site cooking, whatever the customer desires. Rinaldi’s Italian Deli have catered a party for Airpark-based Harley Davidson and spent the day barbecuing outside at the motorcycle company’s event. Rinaldi’s Italian Deli have been choosen by many near by businesses to cater their signature event. The catering for any size approach has gone beyond the menu with endless options.